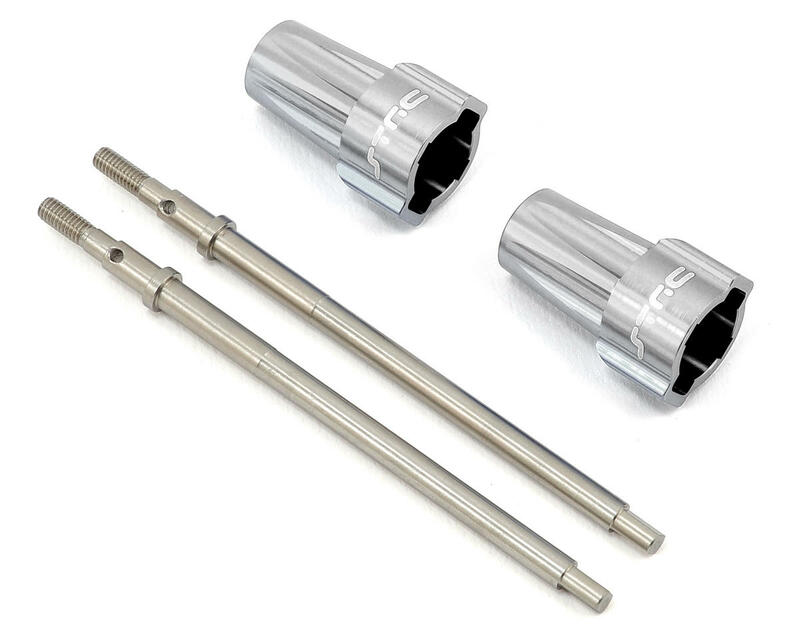 This is a optional ST Racing Concepts Aluminum Lockout Axle Set, with Stainless Steel Driveshafts, and is intended for use with the Axial AX10 Scorpion. 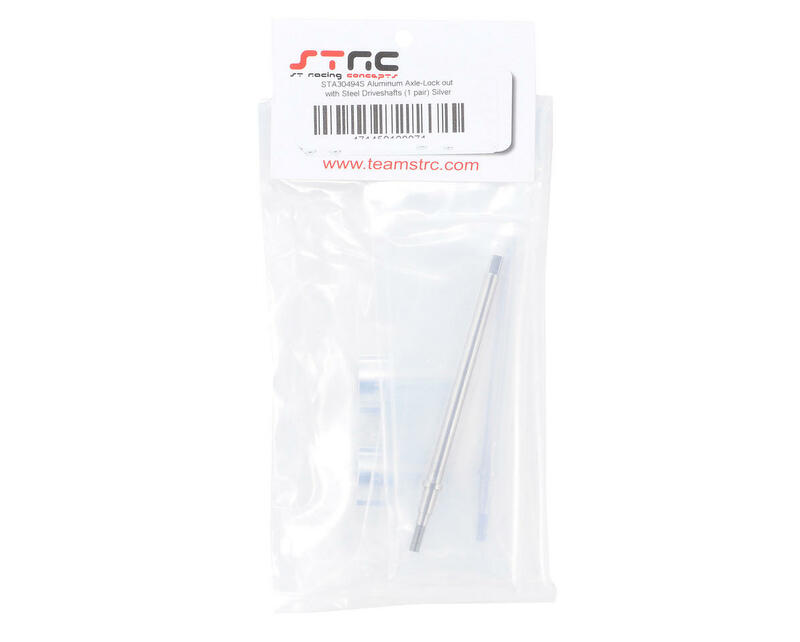 These parts have been CNC Machined from high quality aluminum and steel, and includes all you need to convert the rear transmission of your Axial AX10 to a straight axle setup. The aluminum lock-outs have been machined for weight reduction and anodized for great looks, while providing more ground clearance for rock crawling and a cleaner setup in the rear of the truck. This is a direct bolt-on kit with no modifications necessary.